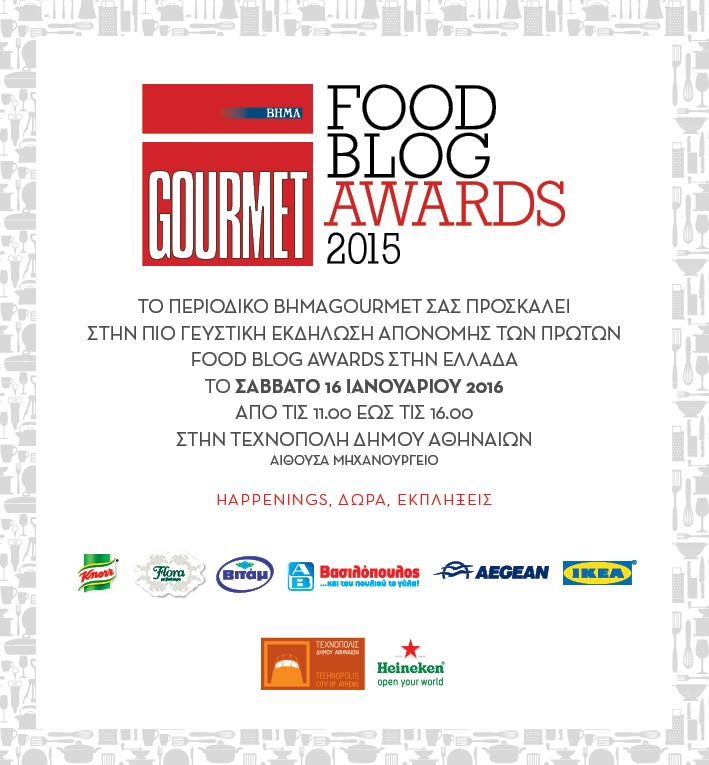 It has been a wonderful experience participating in the first Greek food blog awards. There are 33 super talented bloggers who took part, with more than 300 recipes! On Saturday, BHMAgourmet is hosting a party at Technopolis, Gazi. There will be happenings, tasty treats and lots of surprises and of course we are going to find out who are the winners! We will be at Technopolis, Gazi from 11:00 until 16:00 and you are all invited. If you would like to join us, please fill in the form here. Many thanks to everyone who have casted their vote, more than 15,500 people participated in this competition. I can’t wait to see you there. PS I know most of you are far far away. Worry not, I will give you a full update!